Turn your hand over, he coached himself. She was obviously holding hers in place against the back of his. And yet, he couldn’t make himself do it. Her eyes glittered like emerald stars, and Graham employed all his bravery and slowly turned his hand over, his knuckles bumping against her fingertips. Still, she didn’t pull her hand away. It seemed like ages had passed before he lined his fingers up with hers and laced their hands together. He met her eyes and found acceptance there, with an edge of heat that definitely testified that she wanted to hold his hand as much as he wanted to hold hers. “All right, then,” he murmured, and she ducked her head to hide a smile curving her lips. He caught it though, and a thrill shot all the way down to his toes. Graham had the distinct thought that he made everything harder than it had to be, including starting something with Laney. Why couldn’t they hold hands and help each other on their farms and ranches? Why couldn’t he kiss her and still be her best friend? “Hey, Laney?” he asked, deciding to do something instead of just think about it until his thoughts drove him mad. Graham’s smile felt like the first genuine thing he’d done in a while, and he squeezed her hand, glad when she squeezed back. Aw, I liked it. 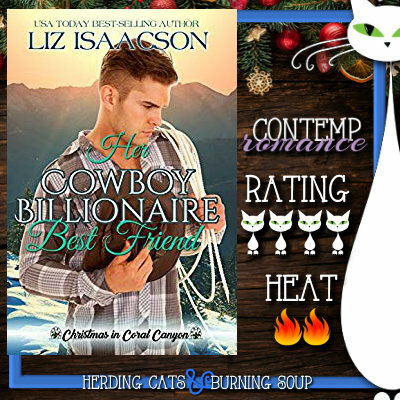 Her Cowboy Billionaire Best Friend had all the things I like! Cowboys! Good guys with funds! Falling for your best friend! Eeee! Don't let the cover fool ya, though. This hero and heroine? They're 40! I love that. The Gist: Childhood friends and newfound neighbors, Graham and Laney... kinda have the hots for each other. They're older and sweet Mary they are slow on the uptake. And a bit hesitant to start anything up. 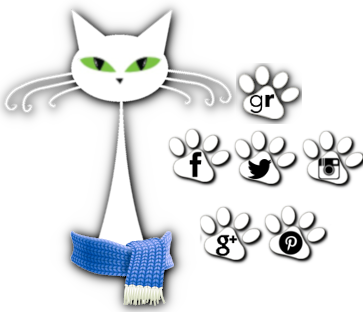 *flails* Thank goodness for snow storms knocking out power and having to move in with each other for a spell. I liked Graham and Laney. They're both workaholics--him with his business and lodge, her with her ranch. They're both on the verge of needing to scream in a closet (Lord don't I understand that!) because they are just about done with all of it. Laney's a good mom, and has a kind heart even if it's a bit damaged. Graham is a provider, brilliant problem solver and a bit damaged, too. They both have faults and quirks, they screw up now and again (sometimes gloriously) but I liked them and how hard they tried in the end. It was nice seeing some grown ups dealing with things. Things stay pretty PG as Laney and her daughter move in for the holiday season and his family comes to visit for Christmas but I enjoyed the romance and watching these two find some sorely needed peace with each other. 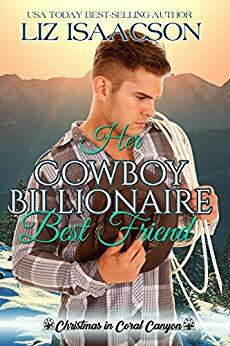 All in all, Her Cowboy Billionaire Best Friend hit the spot. Sweet Christmasy romance with a large boisterous family that has me curious and ready for the next brother to find his match. Graham Whittaker returns to Coral Canyon a few days after Christmas—after the death of his father. He's just found out his long-time girlfriend in Seattle has been cheating on him, and while Coral Canyon isn't his first choice of where to live, it's certainly the friendliest. He takes over the energy company his dad built from the ground up and buys a high-end lodge to live in—only a mile from the home of his once-best friend, Laney McAllister. 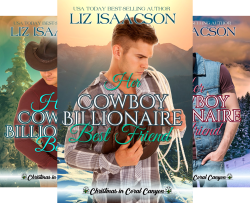 Laney returned to her family ranch after college, but her husband wasn't cut out for the country lifestyle on the land at the base of the Grand Teton National Forest. He left Laney and their daughter, Bailey, to work the ranch themselves, which they've been trying to do. But with her furnace on the brink of failure and the snow falling faster than ever, Laney agrees to bring Bailey up to Graham's lodge for the holidays. They were best friends once, but Laney's always entertained feelings for him, and spending so much time with him while they make Christmas memories puts her heart in danger of getting broken again. Can they take their friendship to the next level and build a family? Or will Laney be risking her heart only to remain in the friend zone?